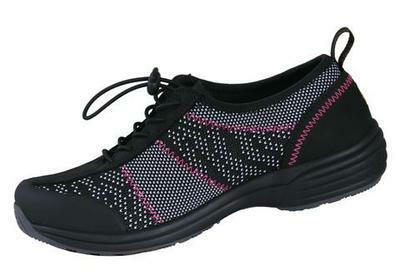 Excel Mesh Athletic Shoe. Multi-pattern knit & split leather suede design. Breathable & lightweight on your feet. Shock absorbing foot bed, slip resist rubber sole & bungi bungee toggle lace.